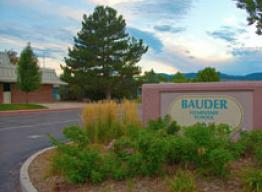 Bauder Elementary School is named after longtime PSD music teacher, Katharyn Bauder. The school’s mission is to provide students with challenging learning opportunities which lead them to become complex thinkers, responsible citizens, and lifelong learners. Bauder Elementary is a warm, friendly, and collaborative environment where staff is dedicated to focusing on the whole child by emphasizing relationships, the arts, character-building, as well as a strong, comprehensive academic program. We offer a variety of intervention programs including Gifted and Talented, special education, English Language Development, and literacy/math support to meet the needs of individual students. Each grade level has an additional teacher to provide interventions. To help prepare students for the 21st century, every student in grades 2-5 has access to their own laptop as a learning tool during the instructional day. Bauder is a wellness school where we provide breakfast for every student during the day, utilize a learning garden, provide brain breaks, and utilize weekly art, music, physical education, and technology classes to provide a strong foundation in the arts which allows students to explore their own creative interests. Enrichment opportunities outside the classroom include Bauder Pride Choir, guitar clubs, a 5th grade ECO week experience, LEAD student leadership opportunities, Bauder Broadcast News, and after school Math and Reading programs.